Summary Geologic Report on Drilling in western Prescott and Williams Quadrangles. Mohave, Yavapai, and La Paz Counties, Arizona. This drilling project in northwest Arizona consisted of 18 holes drilled to depths ranging from 1,341 to 5,491 feet. The holes were sited to determine the lateral extent of the Uranium-bearing strata. / Additional data to improve the resource estimates for the Date Creek and the Big Sandy basin. Report on Drilling in western Prescott and Williams Quadrangles. Mohave, Yavapai, and La Paz Counties, Arizona. 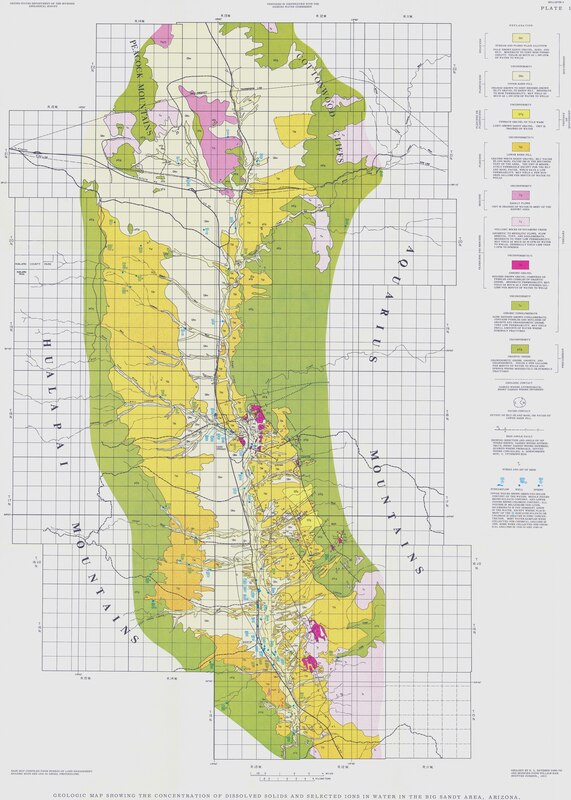 Water Resources Appraisal of the Big Sandy Area, Mohave County, Arizona. Describes the distribution, lithology, and the water yielding characteristics of the rock units in the Big Sandy Area. Maps, tables. Chemical analyses. Davidson, E.S. 1973. Water Resources Appraisal of the Big Sandy Area, Mohave County, Arizona: Arizona Water Commission, Phoenix, Arizona Water Commission Bulletin 6, 40 pp. Describe briefly all the springs visited during the 1960 trip and to compile all known additional discharge data from the springs. Maps, cross section, flow graphs, chemical analyses. Johnson, P.W. and Sanderson, R.B. 1968. Spring Flow into the Colorado River, Lees Ferry to Lake Mead, Arizona Arizona State Land Department, Phoenix, Water Resource Report 34, 26 pp. Basic Hydrologic Data of the Hualapai, Sacramento, and Big Sandy Valleys, Mohave County, Arizona. Summary of the basic hydrologic data for the three Valleys. Maps and graphs of water levels and wells. Well records. Drillers' logs. Chemical analyses. Gillespie, J.B., Bentley, C.B. and Kam, W. 1966. 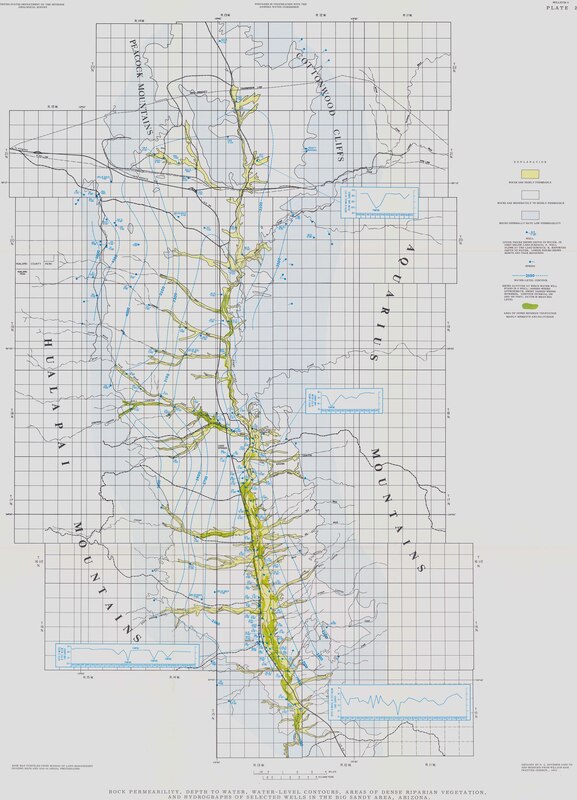 Basic Hydrologic Data of the Hualapai, Sacramento, and Big Valleys, Mohave County, Arizona: Arizona State Land Department, Phoenix, Water Resource Report 26, 39 pp.